Provides surface mount light for new construction applications. Unit fits most 4" junction boxes and can replace 5" , 6" recessed can lights to eliminate baffles & Fire rated boxes. ●Prior to installation.please install two screws (furnished)into the junction box.Do Not drive screws completely to the end of junction box. ●Connect supply wires to wires in fixture wiring box with proper size wire nuts or push wires into "push-in"connector.Connect white to white,black to black,and green or bare copper wire to bare copper wire. ●The ground wire at the service junction box may needs to be secured to a ground screw. ●With a Phillips screwdriver,attach disk light tightly to the j-box. ●Complete the installation by twisting the diffuser on the disk light aluminum enclosure and lock the diffuser in place. ●For external use only,recommend applying waterproof silicone to steal around trim and ceiling. Wish Lighting is an professional LED lighting Manufacturer, supports the team to always stand by our products in any way, we always use the "pursuit of customer satisfaction service" as the aim to take technological innovation as the driving force and the product quality as the highest pursuit. ENERGY SAVING: 15W LED disk light is equivalent to 75W incandescent lamp, which can effectively save up to 80% energy consumption. Increasing energy efficiency can slow down the greenhouse effect, reduce environmental pollution and save your electricity bills. SAFETY CERTIFICATION: cETL Listed, the FCC standard. Ensure your personal and property safety.Disk light body is made of high quality aluminum alloy material, which can effectively lead the LED heat dissipation, prolong the service life of the product, durable, anti-rust, anti-corrosion. 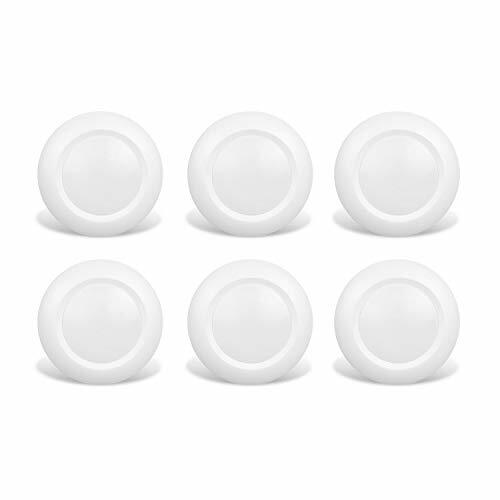 SMOOTH DIMMING: 10%-100% smooth dimming without flickers. Compatible with most LED dimmers with 120V operation. 1000 lumens of pleasant, low glare soft warm light. EASY INSTALLATION: Disk light Surface mount to 4" 5'' & 6'' junction boxes in the ceiling, perfect for shallow ceiling and drop area. DOB(Driver On Board) Design makes easy installation, You can install it yourself without professional help. at the same time, the LED Disk light makes easy to upgrade your existing recessed lights to energy efficient LED or flush mount on junction box for new construction site to avoid using recessed can. WARRANTY: Wish Lighting promises to provide you with High technology LED lights and high quality customer service.If you have any quality problems to contact us, convenient and quick replacement. Wish lighting disk lights quality assurance, 3 years warranty. If you have any questions about this product by Wish Lighting, contact us by completing and submitting the form below. If you are looking for a specif part number, please include it with your message.